#103 - 717 Chesterfield Ave. This is the one you have been waiting for! Previous show home. Located at 8th and Chesterfield adjacent to the historic Queen Mary Elementary School, this limited collection of two bedrooms corner unit homes reflects an urban West Coast contemporary architecture. Inside, 11' high ceilings, open living spaces and sophisticated interior design details, including smooth stone counters, laminate flooring, wood cabinetry and sleek stainless steel appliances. 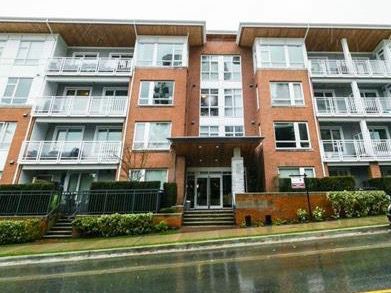 Situated in the heart of North Vancouver's thriving Lonsdale neighbourhood, walking distance to Victoria Park, Mahon Park, shopping and convenient transit. Shows Very Well.